Should You Follow the Smart Money Back Into Taiwan Semiconductor Mfg. Co. Ltd. (ADR) (TSM)? Hedge funds are not perfect. They have their bad picks just like everyone else. Valeant, a stock hedge funds have loved, lost 79% during the last 12 months ending in November 21. Although hedge funds are not perfect, their consensus picks do deliver solid returns, however. Our data show the top 30 mid-cap stocks among the best performing hedge funds yielded an average return of 18% in the same time period, vs. a gain of 7.6% for the S&P 500 Index. Because hedge funds have a lot of resources and their consensus picks do well, we pay attention to what they think. 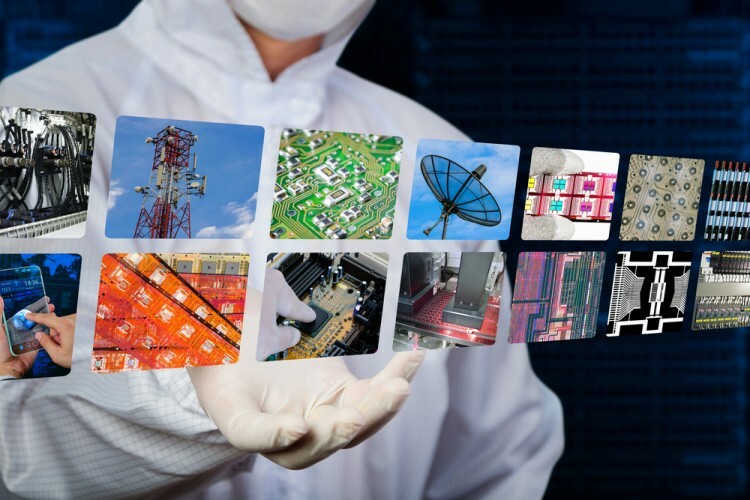 In this article, we analyze what the elite funds think of Taiwan Semiconductor Mfg. Co. Ltd. (ADR) (NYSE:TSM). Taiwan Semiconductor Mfg. Co. Ltd. (ADR) (NYSE:TSM) has experienced an increase in support from the world’s most elite money managers recently. 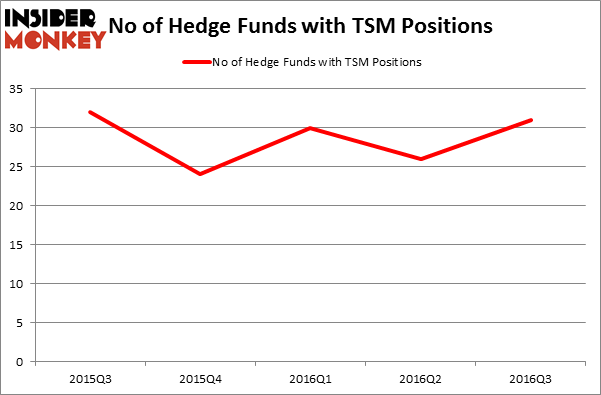 TSM was in 31 hedge funds’ portfolios at the end of the third quarter of 2016. There were 26 hedge funds in our database with TSM holdings at the end of the previous quarter. The level and the change in hedge fund popularity aren’t the only variables you need to analyze to decipher hedge funds’ perspectives. A stock may witness a boost in popularity but it may still be less popular than similarly priced stocks. That’s why at the end of this article we will examine companies such as Altria Group Inc (NYSE:MO), UnitedHealth Group Inc. (NYSE:UNH), and Citigroup Inc. (NYSE:C) to gather more data points. How are hedge funds trading Taiwan Semiconductor Mfg. Co. Ltd. (ADR) (NYSE:TSM)? At the end of the third quarter, a total of 31 of the hedge funds tracked by Insider Monkey were bullish on this stock, a rise of 19% from the second quarter of 2016, as hedge fund ownership of the stock remains volatile within a relatively narrow range. With hedge funds’ sentiment swirling, there exists a select group of key hedge fund managers who were upping their stakes significantly (or already accumulated large positions). According to Insider Monkey’s hedge fund database, Arrowstreet Capital, managed by Peter Rathjens, Bruce Clarke and John Campbell, holds the biggest position in Taiwan Semiconductor Mfg. Co. Ltd. (ADR) (NYSE:TSM). Arrowstreet Capital has a $953.7 million position in the stock, comprising 3.1% of its 13F portfolio. The second most bullish fund manager is Ken Fisher of Fisher Asset Management, with an $881.8 million position; 1.6% of its 13F portfolio is allocated to the stock. Remaining professional money managers with similar optimism comprise Cliff Asness’ AQR Capital Management, Howard Marks’ Oaktree Capital Management, and Jim Simons’ Renaissance Technologies.